Enjoying la neblina and un diente de león with my pana Cuencana after hours driving down pothole covered roads in a rainstorm before later discovering secret hot springs located on the outskirts of Soldados. Cajas National Park, Ecuador. Enjoying an afternoon overlook of the Cuenca valley during my first hike outside the city walls. Traveler’s trip: befriend a local. Cuenca, Ecuador. 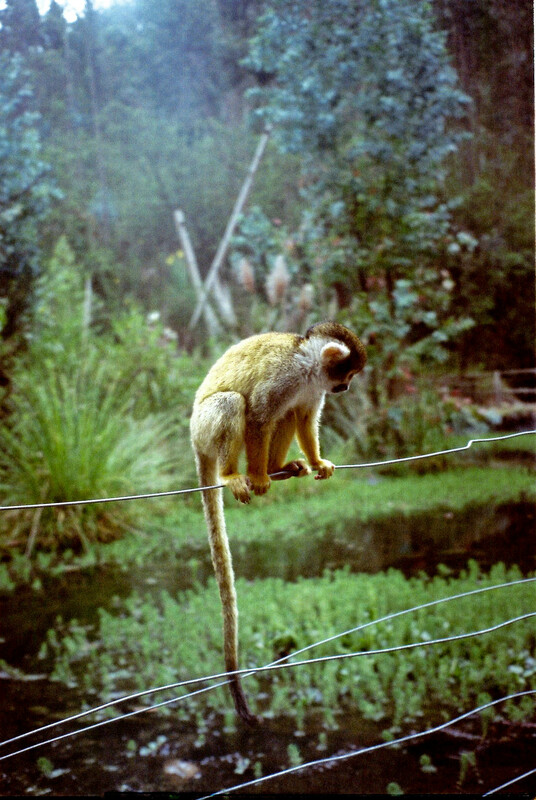 A lone monkey sits in one of the many wide-open spaces of Zoológico Amaru. Every week we were surrounded by wild animals and endangered species as we hiked through the bio park/conservatory to get to our biology class labs. Cuenca, Ecuador. 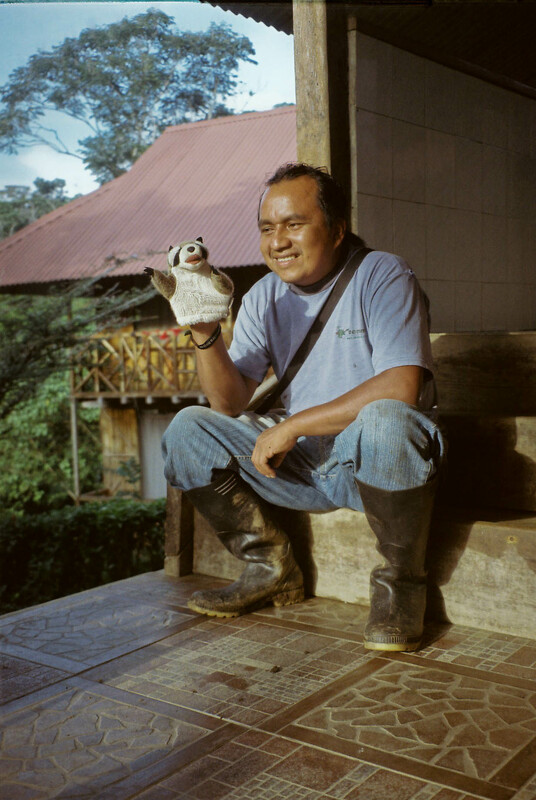 Our Quichua guide Teo holds my mapache puppet during a break between teaching us how to identify every Amazon insect and animal, build transects and quadrants, swing on vines, and eat bugs. 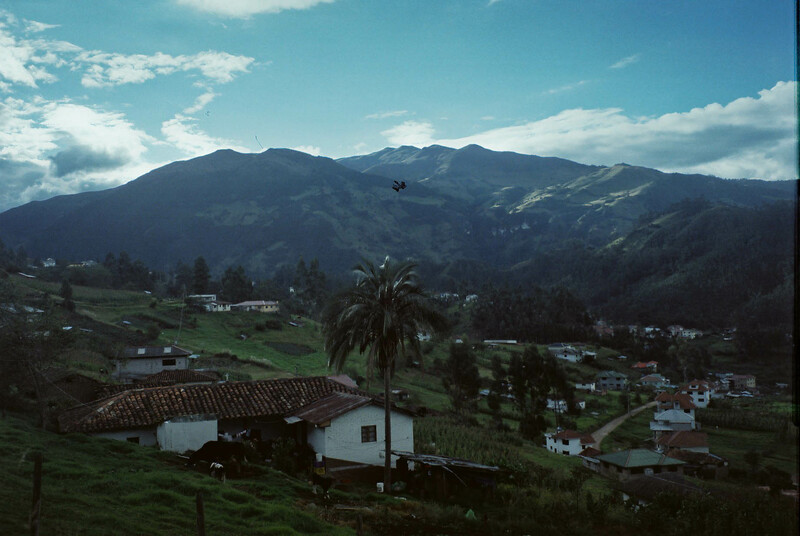 Sinchi Sacha, Ecuador. 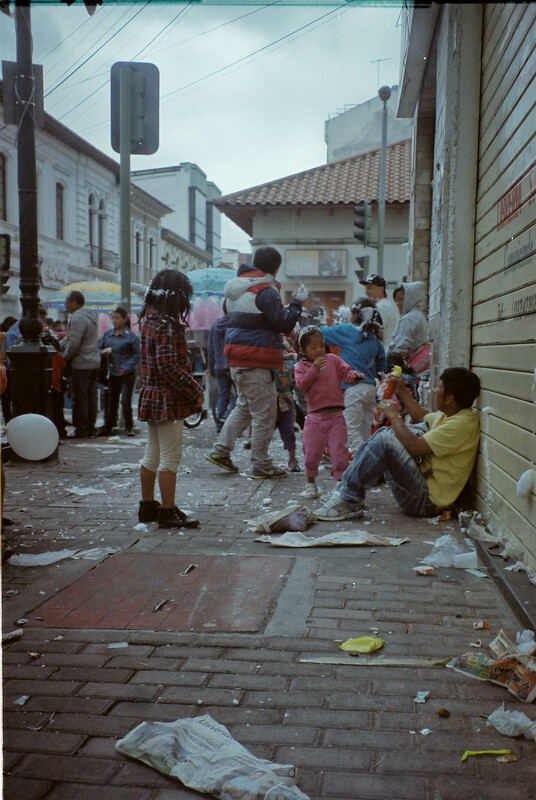 A few of the 20,000 people that travel to celebrate carnaval in the city of Ambato spray each other with espuma. It is impossible to walk outside without being attacked by this foamy shaving cream substance and it is unadvisable to travel these areas if not ready to partake in days of parades, outdoor concerts, and the endless running/chasing of these espuma wars. Ambato, Ecuador. 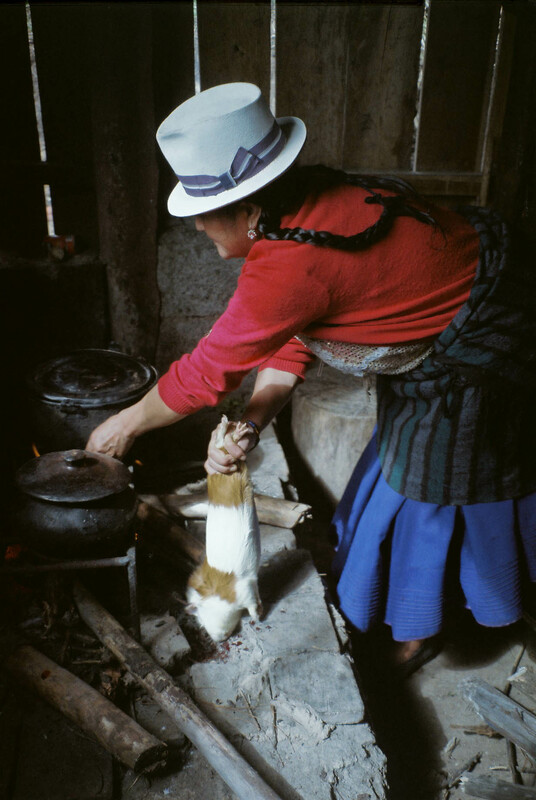 A compañera del campo (companion of the countryside) drains the blood out of a cuy (guinea pig) in preparation for cooking. Chilca Totora, Ecuador. 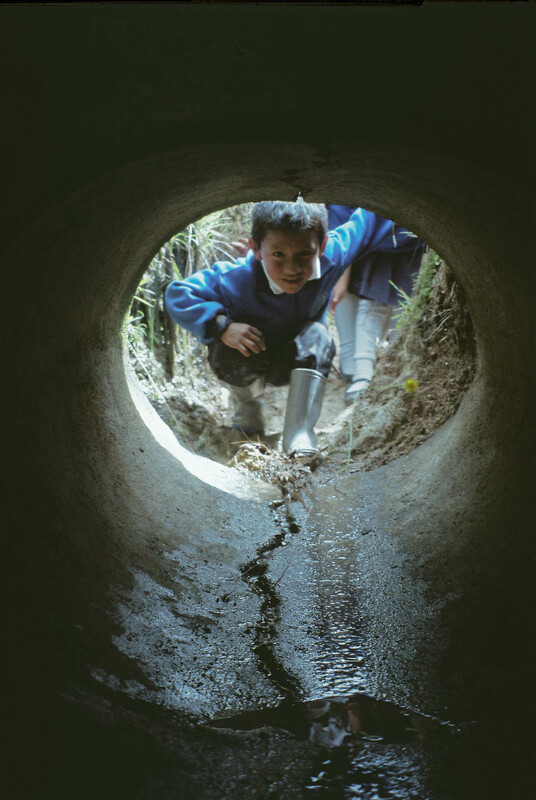 A boy looks through a túnel secreto that runs underneath a road connecting their school to the corn farm on the other side. Chilca Totora, Ecuador. Younger family members pitch in to help eviscerate and clean the cuy warning us to be careful not to break the gall bladder. Chilca Totora, Ecuador. 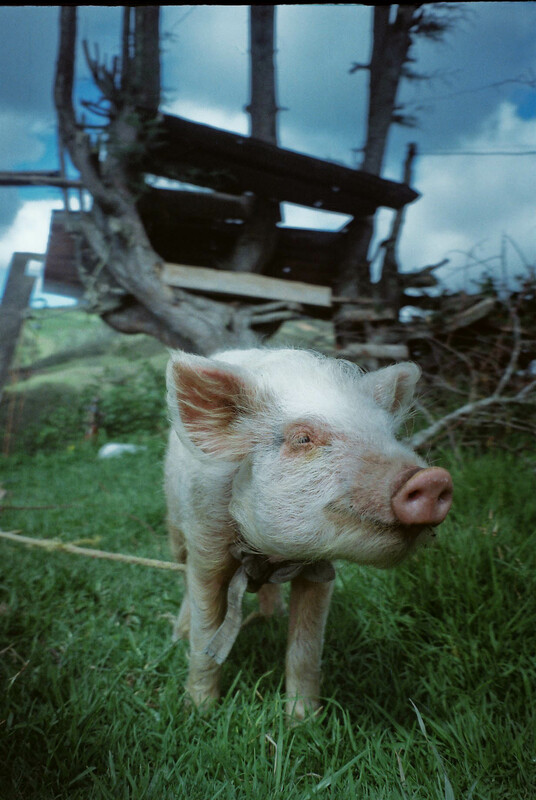 Chancho, cerdo, amigo. Chilca Totora, Ecuador. 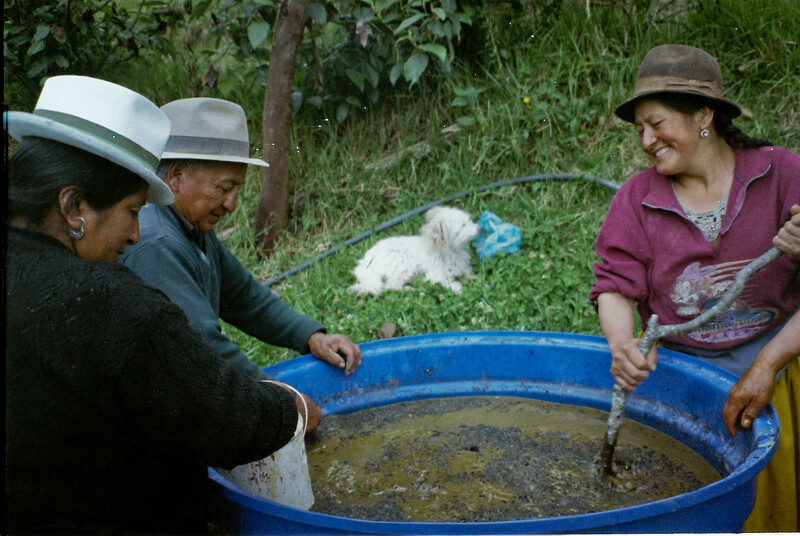 Learning how to make abono orgánico out of chicha (a fermented corn beer), leftover cheese curds, and manure. Chilca Totora, Ecuador. 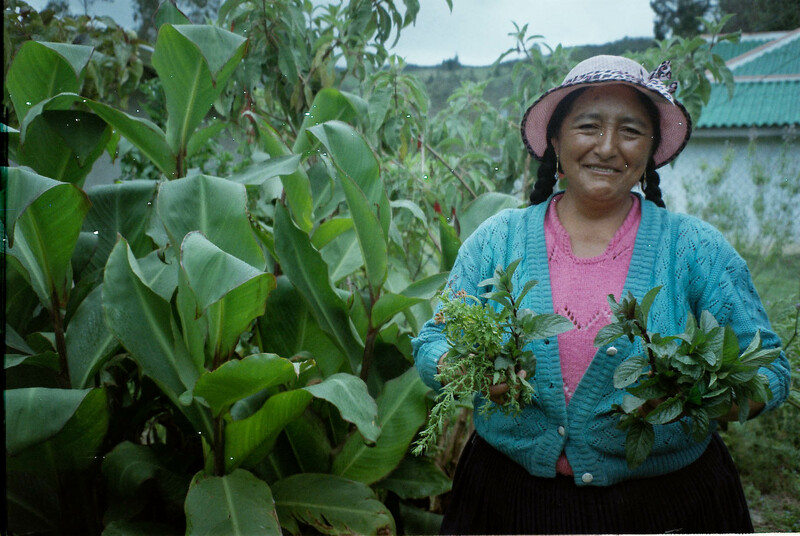 Señora Florinda harvesting the herbs cedrón, yerba buena negra, y paico in preparation for making an aguita (tea). Chilca Totora, Ecuador. 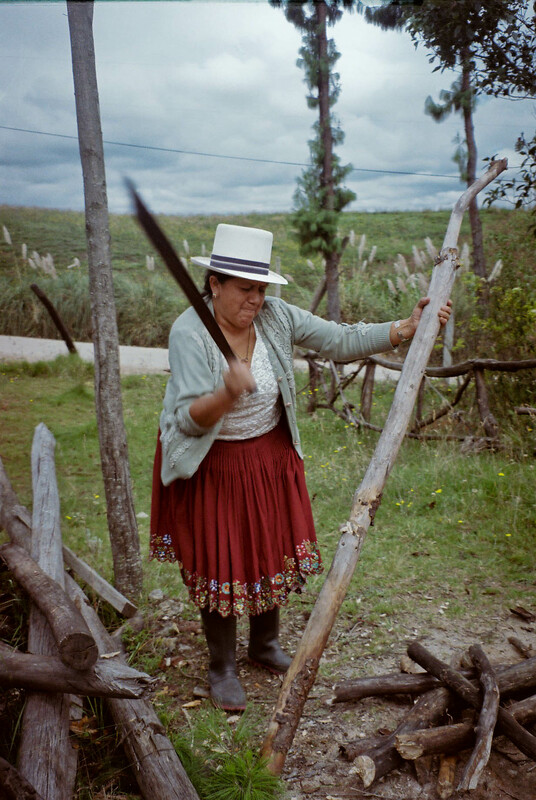 Another compañera del campo chops wood for the fire in preparation for cooking the cuy. Chilca Totora, Ecuador. A view from paradise. 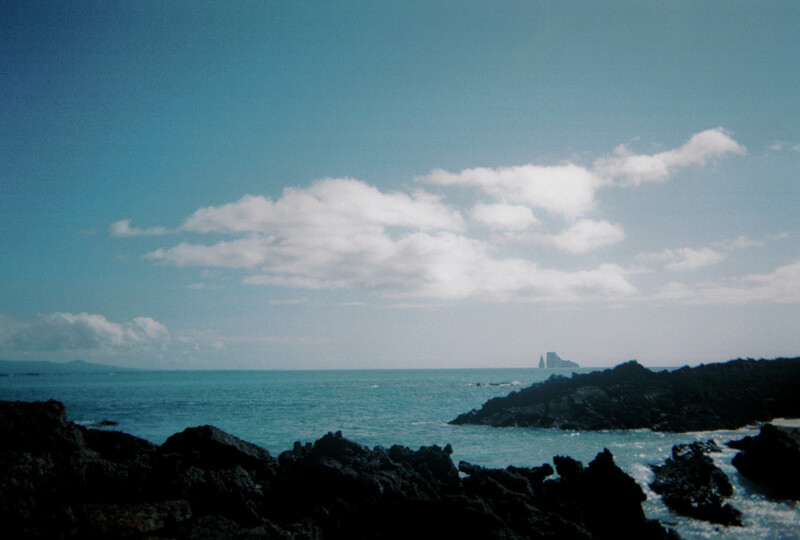 Galapagos Islands, Ecuador. 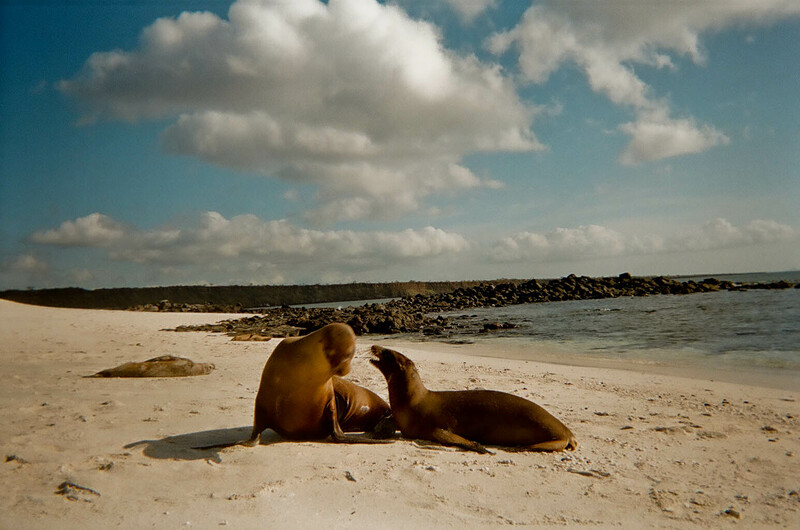 Sea lions play like siblings. Galapagos Islands, Ecuador. 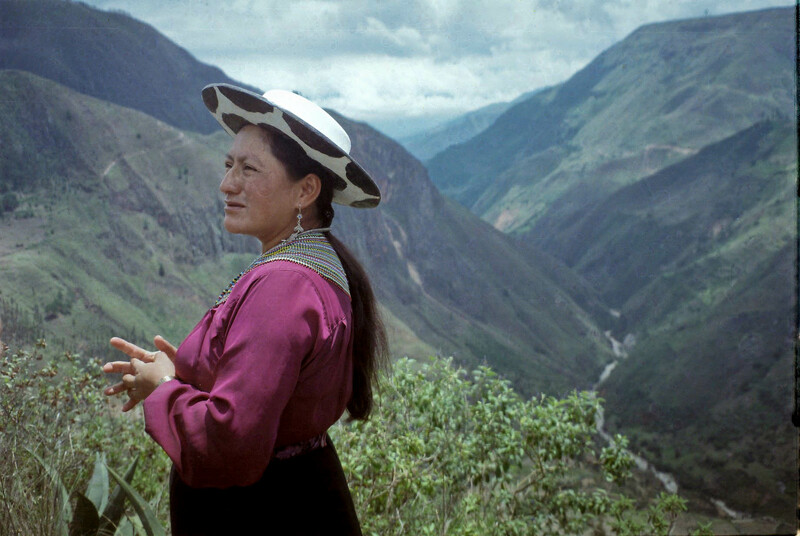 Louisa, a Saraguro native explains her villages’ history and culture. Saraguro, Ecuador. 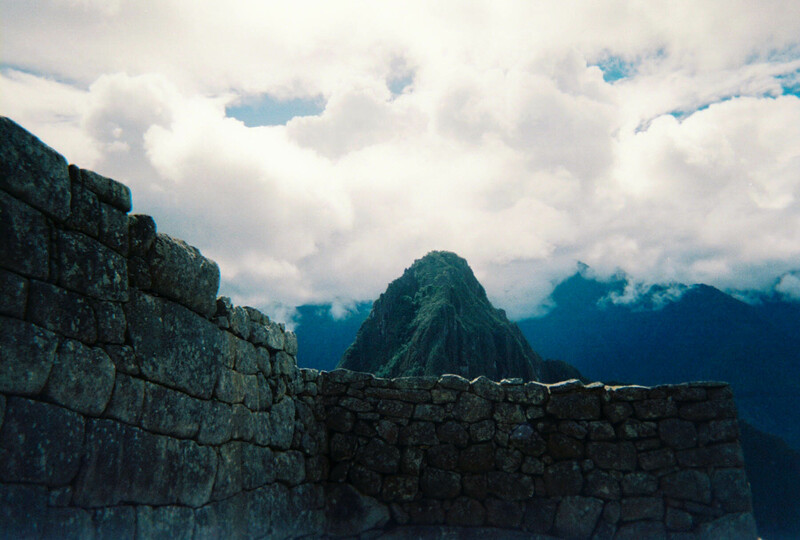 A view from outside the gate entrance of an ancient Incan temple. Machu Picchu, Peru. 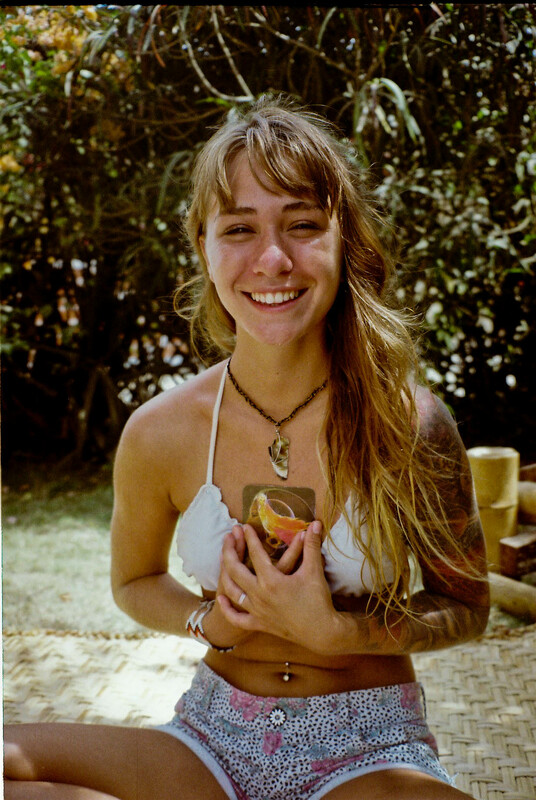 Traveler’s tip #2: Always trust a girl with a partial tattoo sleeve of astral planets, half a shaved cranium, and a thick Argentinian accent who greets you the minute after exiting a five hour bus ride inviting you to stay with the “One Love” community. Montañita, Ecuador. 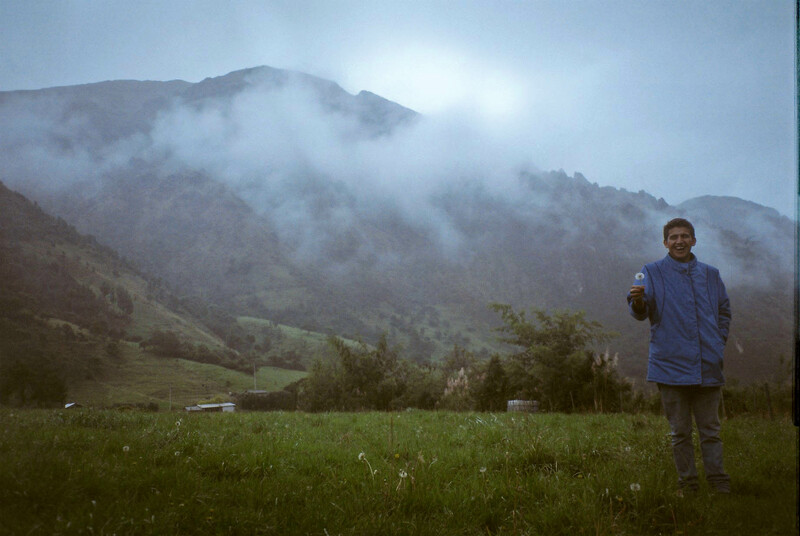 Mayana Bonapart ’16 uses film photography as a way to share her passion for spontaneous exploration, inexplicable natural beauty, and storytelling. This series is inspired by the parrandas (excursions) she had and the panas (pals) she met during her time traveling in South America. Posted in Art, Gallery and tagged animals, beauty, carnaval, Chilca Totora, Ecuador, film, Galapagos, Nature, panas, parrandas, People, Photography, quichua, travel, twilight. Bookmark the permalink. So amazing, your travels seem incredible! Your photography is incredible, thanks for sharing your adventures!